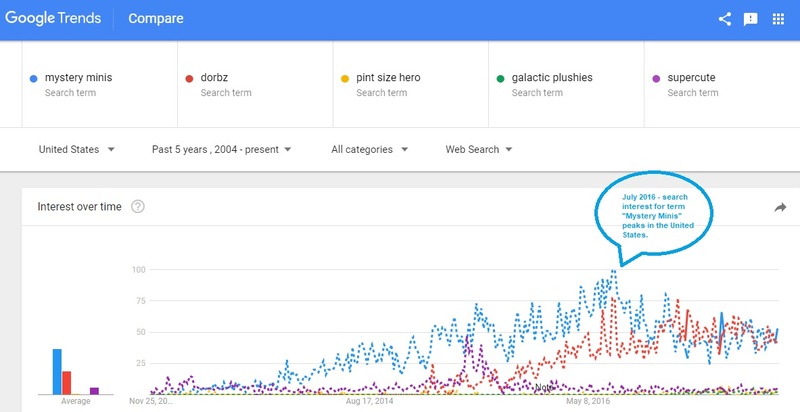 One thing that really stood out for me is the vast amount of data that Google Trends represents. We’re talking about TRILLIONS of google searches conducted annually. While the data does not include the entire population of Google searches, this would make data investigations painstakingly slow, it is a statistically acceptable sample and thus represents the entire population. Over the last few years, we’ve seen a number of platforms that leverage Twitter and other social platform’s APIs towards building stock market sentiment indicators. While these platforms may have some interpretive value, our belief is that Google Trends provides the best representation of internet user sentiment by virtue of the amount of data available to the platform. With the widespread usage of Google over say Twitter or any other social platform, it would make its data the most reliable as a market sentiment indicator.